New Books & a Giveaway!
. . . [H]e opened up Archimandrite Sophrony’s biography of Father Silouan, The Monk of Mount Athos, and read aloud the passage describing Silouan’s meeting with the Russian ascetic, Father Stratonicos. Although this passage had nothing directly to do with Lewis, let alone his understanding of medieval cosmology, it illustrated well the subject of wordlessness which in turn (as it later transpired) proved to illuminate the planetary theme of the Chronicles. So without having read Letters to Malcolm, I think Ward could, at least, be right about the agreement of Lewis’s with St Silouan’s teaching. But either way, it is certainly interesting to know that St Silouan is responsible for inspiring the greatest study of C.S. Lewis yet produced. Michael Ward, Planet Narnia: The Seven Heavens in the Imagination of C.S. Lewis (Oxford: Oxford U, 2008), p. 249. 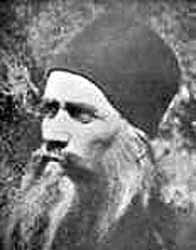 Archimandrite Sophrony (Sakharov), The Monk of Mount Athos: Staretz Silouan 1866-1938, tr. Rosemary Edmonds (London: Mowbrays, 1973), p. 40. Leonard J. Stanton, The Optina Pustyn Monastery in the Russian Literary Imagination: Iconic Vision in Works by Dostoevsky, Gogol, Tolstoy, & Others (NY: Peter Lang, 1995), p. 25. 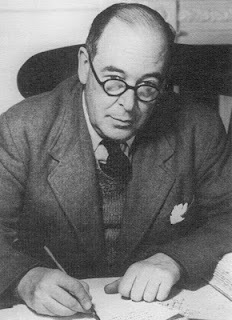 The Inspirational Writings of C.S. Lewis (NY: Inspirational, 1994), p. 185. Thank you! I have procrastinated purchasing Planet Narnia, but your post changes that! ...St Silouan is responsible for inspiring the greatest study of C.S. Lewis yet produced. Orr> I hope Herman does find out! I can't possibly compare his study until he gets around to sending it to me! Theo-fan> Glad to hear it! Wow! Really, really fascinating stuff! I have not read PN yet but it is on my list. It does seem to me, though, that Ward (and the bishop) went in another direction with the words of St Silouan than he meant them. St Silouan isn't speaking (at least here) about "the Holy Spirit speaking through human prayers", but rather about how the perfect speak in the Holy Spirit to other human persons: the apophthegm, or word of the elder. I still think Ward's insight has value, and not simply for understanding the Chronicles of Narnia and the planetary background (which is fascinating). But I would think it has more to do with the middle way, the spiritual vision of God in the creation, the book of nature, rather than on wordless prayer in the Holy Spirit. Or perhaps I am missing it? Is Ward implying that in prayer in the Holy Spirit the human pray-er is thereby "tuned in" to the cosmos precisely because the cosmos is itself "tuned to" the Holy Spirit? This would be akin to the notion of the music of the spheres, which I believe Lewis understands to be heard spiritually. Papa John> That had occurred to me as well about Ward's interpretation of St Silouan's statement. But it seems like what St Silouan says could be seen in a sufficiently broad way as to encompass the apophthegm as well as the words of prayer. As for the connection of this to the composition of the Narniad, I took it merely as an analogy and less as a matter for direct application. I read him as taking the notion of 'wordlessness' and divine 'influence' and seeing them as being employed on a literary level. I've put a link to this post on Ward's Facebook wall, so maybe I can get him to respond to the question himself! Aaron, if you have Lewis' book of poems (titled "Poems") read the poem "Prayer" on p122. This sense that prayer is God talking to God is evident there as Lewis characteristically turns a modern notion on its head. If you don't have the poem let me know if you are interested in reading it. Papa John> I have it, and read it. Very nice! I love Lewis's poems.